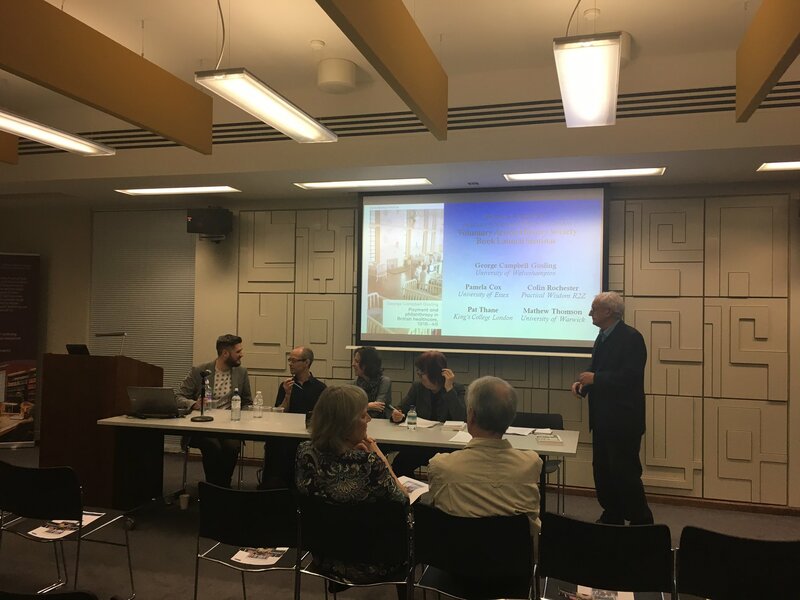 It made sense for the Voluntary Action History Society to host the launch of Payment and Philanthropy in British Healthcare, 1918-48, my new book with Manchester University Press, for two reasons. First, because the VAHS and its seminar series at the Institute of Historical Research was something of a scholarly home-from-home for me, while I was researching the topic for my PhD at Oxford Brookes University but living in London. The sense of being with family was evident from the fuss they made – even including surprising me with a cake of the book! Second, because the theme of “voluntary action” is central to the book. It’s one of the first titles to be published in the new Social Histories of Medicine series, a collaboration between MUP and the Society for the Social History of Medicine. And it adds to the scholarship on Britain’s pre-NHS hospital system that has been so prominent in the social history of medicine in the past few decades. Specifically what it adds is, largely, a reminder that we cannot understand the pre-NHS voluntary hospitals unless we remember that they were charities. The assumption has been that when, in the early twentieth century, they started taking money off patients, they became essentially “private hospitals”. As the book details, this simply didn’t happen. Patient payments actually became embedded within the long-established social dynamics and class hierarchies of these philanthropic institutions. In fact, there were ways in which the means-tested systems by which the rate of payment was set served as new ways to enforce those older divisions and distinctions. Payment and philanthropy found a surprisingly conservative accommodation. Colin Rochester chaired the book launch seminar. 25 years ago he was one of a small gang of voluntary sector practitioners and scholars who realised the historical dimension was missing from their understanding, and founded the VAHS in response. We were joined by what he called “an all-star panel” of scholars to act as commentators. All historians I’ve worked with and whose work I rate highly – who I asked to come and share their thoughts on the issues raised by the book, rather than to offer a staged endorsement – and I was thrilled they all agreed. “It certainly deepens our understanding of the hospital provision in England before the National Health Service, and perhaps also why a change as major as the introduction of the NHS could be introduced relatively calmly, with little overt opposition once calmed the BMA down by “stuffing their mouths with gold”, as he put it”. She picked up on one of the key themes of the book, which was the rationale for the introduction of minimal, but controversial, provision aimed at the middle classes, rather than the sick poor the voluntary hospitals were founded to serve. She noted the fact that better-off patients “willingly paid” for the treatment in order to “subsidise poorer patients”. Indeed, I have found no real evidence of resistance to the principle of payment according to means, even if the middle-class sick seem to have been less keen to enter the hospital at all. While the middle-class private provision was never anywhere close to widespread enough to actually have been able to subsidise provision for working-class patients, the logic seems to have been accepted before the founding of the NHS. Second up was Professor Pam Cox, the Chair of the Social History Society, who said well done for getting the book done during those challenging early-career years. The book spoke to her, she said, because of the “NHS story” in her own family history. Something she rightly noted we all have. In her case, a history of midwives and the sick poor missing out. This book, from which she said she “learnt a great deal about the complexity, variety and plurality of early twentieth-century healthcare”, helped her to understand a little better why that might have been so. It brought home to her, she said, “the importance of local communities in creating national services”. These hospitals were local charities “and that raises questions about civil society and localism, which I think are very important”. 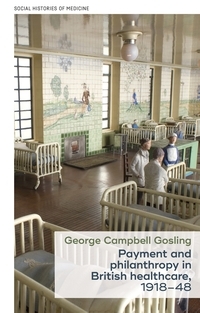 This significance of this voluntarism not only helps us to understand healthcare in the pre-NHS era but also Britain’s place within Esping-Andersen’s The Three Worlds of Welfare Capitalism, in which “it’s never really clear where Britain fits”, and to which she suggested this book forms the beginning of a “historical challenge”. Underpinned by “pernicious but also product influence of class”, which both “justifies” and “challenges these inequalities”, she rightly noted that what this book is really about is the meeting point between “a recasting of nineteenth-century Victorian Liberalism” and “a more social democratic settlement”. This was a theme picked up by Professor Mathew Thomson, who I work with on a major project on the Cultural History of the NHS. 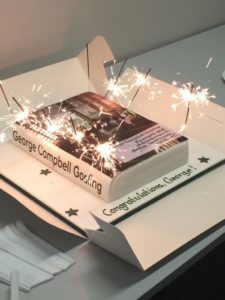 “I do think it’s one of the really interesting things that George is doing in this book is asking us to think about the meaning of payment. His work on our project was trying to flip that to think about the meaning of free”. He went on to ask where this book “leaves us in terms of thinking about the popular politics of the coming of the NHS”. Despite its complexities and social hierarchies, were people actually fairly satisfied with the hospital system in place before the NHS? Was it perhaps more a top-down reform in search of efficiency and rationalisation than a grassroots movement calling for a new system that would “work for us”? You can listen to the full book launch seminar here. And, you can buy a copy of the book for £25 here. Category: Blog, Events, History, Medicine	0 Comments.